2017 INFINITI QX60 Earns 5-Star Rating in New Car Assessment Program (NCAP) Testing. INFINITI’S SUCCESSFUL INVOLVEMENT IN FORMULA ONE ENTERS THE NEXT PHASE. ALL-NEW 2017 INFINITI Q60 SPORTS COUPE: DESIGNED AND ENGINEERED TO PERFORM. 2016 INFINITI Q50 SPORTS SEDAN: NEW ENGINES AND CHASSIS TECHNOLOGIES. 2016 INFINITI QX60 PREMIUM CROSSOVER OFFERS ENHANCED DESIGN, DYNAMICS, COMFORT AND CONVENIENCE. 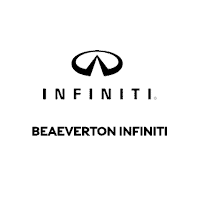 2016 INFINITI QX60 AND INFINITI Q50 PREVIEWED PRIOR TO NORTH AMERICAN INTERNATIONAL AUTO SHOW. PARK WITH EASE INSIDE THE INFINITI QX30. INFINITI IMPROVES ON THE JD POWER INITIAL QUALITY STUDY RANKINGS.